Four Seasons Flowers has been serving the Pleasant Grove, UT area for over 30 years and is committed to providing the highest quality floral arrangements and freshest flowers, all at the fairest prices. With over three decades of experience, Four Seasons Flowers will create beautiful and unique arrangements for any occasion, from weddings ceremonies to birthday celebrations. Are you looking for a florist in Pleasant Grove, UT who will go above and beyond to bring you beauty? Founded in 1980, Four Seasons Flowers is committed to providing exceptional floral arrangements and deliveries to all. Four Seasons Flowers was created as a way to offer only the best in floral designs, with prices that are fair and florists who are friendly. Today, we treat every order as though it were being delivered to a personal friend. We specialize in designing stunning floral arrangements that will add beauty to any occasion—whether it’s an anniversary, birthday or other special day in your life. Our florists are highly trained, personable and dedicated to helping you find just the right bouquet design for whatever your need may be. We deliver to American Fork, Pleasant Grove, Lindon, Orem, Provo and Springville. We offer flowers for every occasion. The florists at Four Seasons Flowers take pride in their craft and design truly stunning floral arrangements. With three decades of experience and service, you can rely on Four Seasons Flowers! 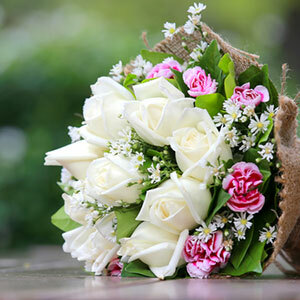 We offer high quality flowers at fair prices. We’ll help you brighten someone’s day or add the finishing details to any event with our gorgeous floral bouquets. Call us today at 801-224-5908 to order a floral arrangement today!